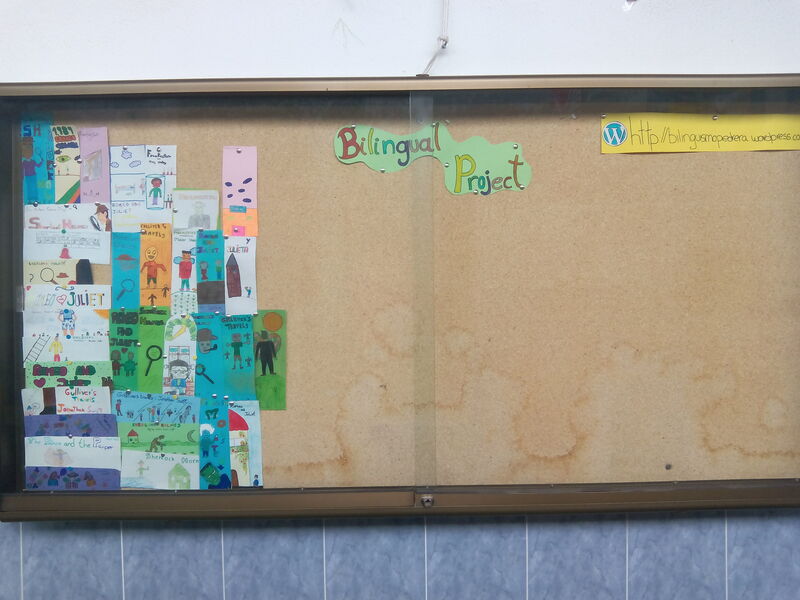 There is a new noticeboard for our Bilingual Project. It is placed in the central corridor. It will give all the interesting information about our project. Besides, many of your works will be shown there. Now, you can see a expositon about English literature by our Eso 1 Apel students. All your contributions are welcome! !